It’s probably no surprise that this is one of my favorite holidays. 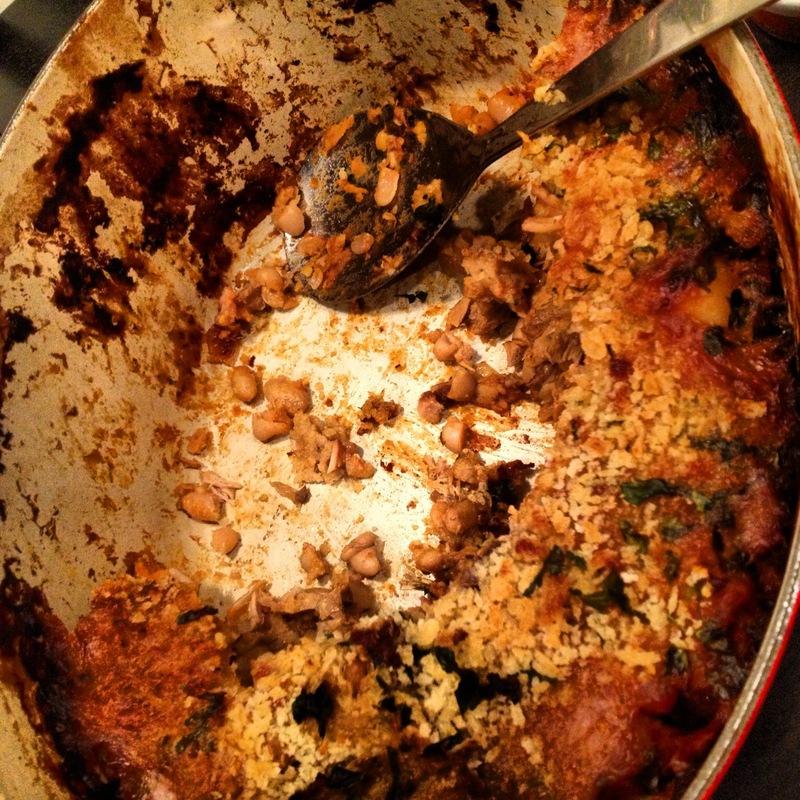 I wanted to share one of the recipes Donny gave me during our Friendsgiving Celebration last week… it is the easiest recipe ever! Seriously, anyone can do it. This Cranberry Sauce tastes absolutely amazing and will beat the giggly stuff with the can marks ANYDAY! Are you ready for the ingredients?? Yup… that’s IT. 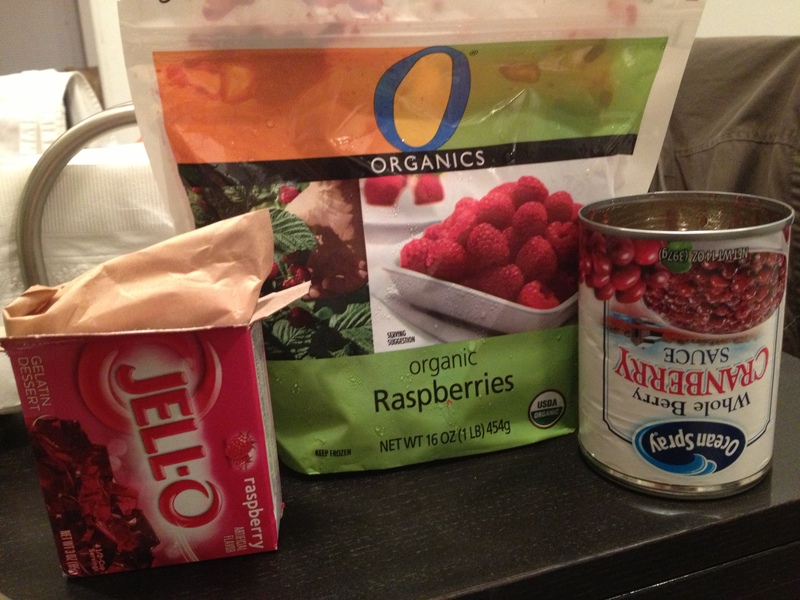 You’ll need 2 cans of Whole Berry Cranberry Sauce, 1 bag of Frozen Raspberries, and 1 packet of Red Jello (we chose Raspberry). Open the can of Cranberry Sauce and plop (I was going to say pour, but it’s definitely a plop) the entire thing into a saucepan over medium-high heat. Stir in the frozen raspberries. 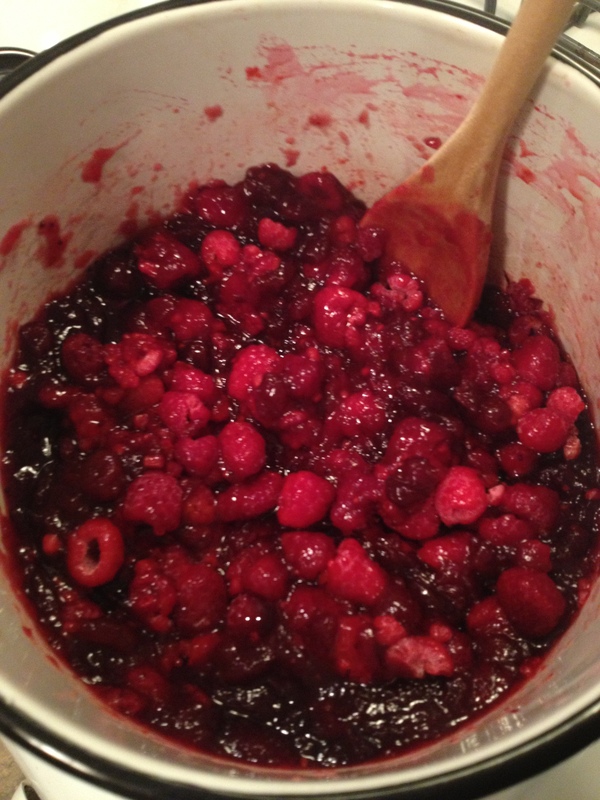 Stir often but not constantly until the raspberries are thawed. Finally, add the jello packet and stir until dissolved. 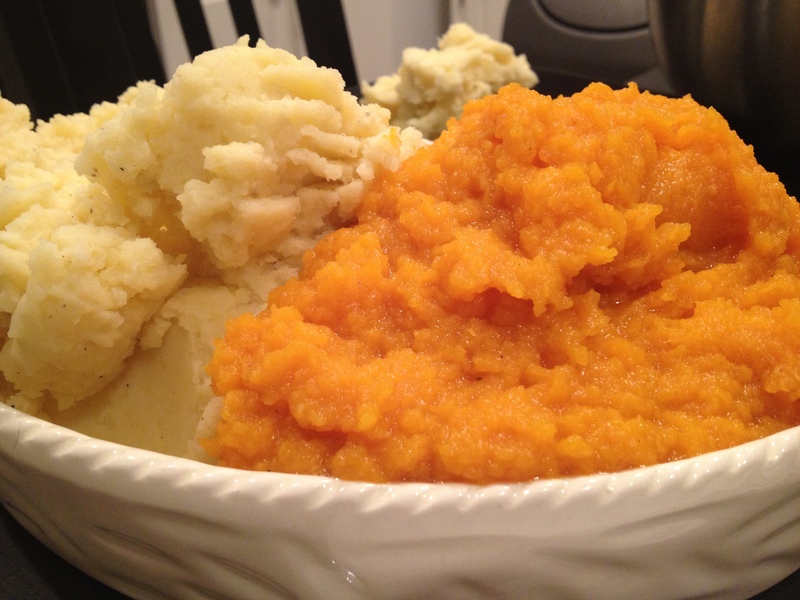 Put into a tupperware container and refrigerate for a few hours or overnight. That’s ALL! 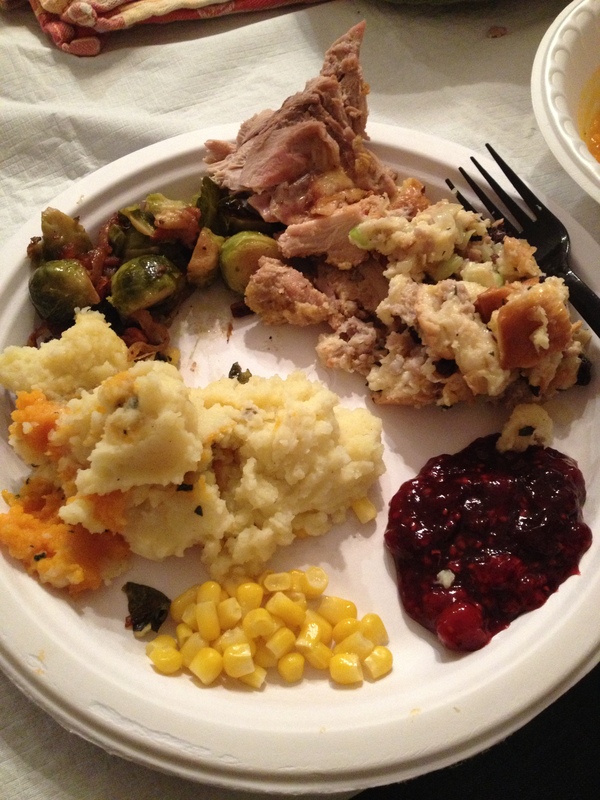 This cranberry sauce was a hit at our Friendsgiving. It seriously is so good. 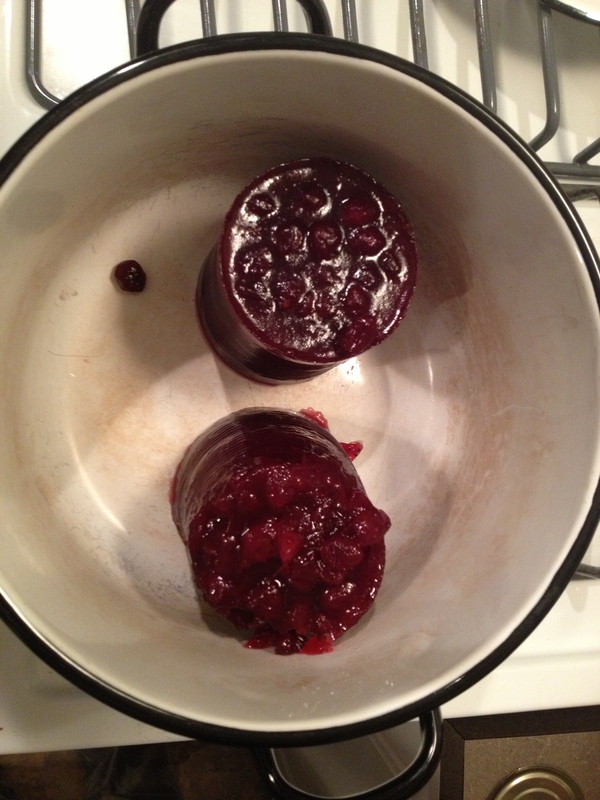 I’m going to make it again later on in the year… who needs Thanksgiving to eat cranberry sauce? Not this girl! I hope you have a very Happy Thanksgiving & Black Friday Shopping! I will be back next with a recipe for Donny’s unbelievable Stuffing that I’ll be cooking up for my family’s dinner… get excited. This weekend marked our FIRST appearance at Donny’s annual “Friendsgiving (formally known as Pre-Thanksgiving)” dinner and celebration. 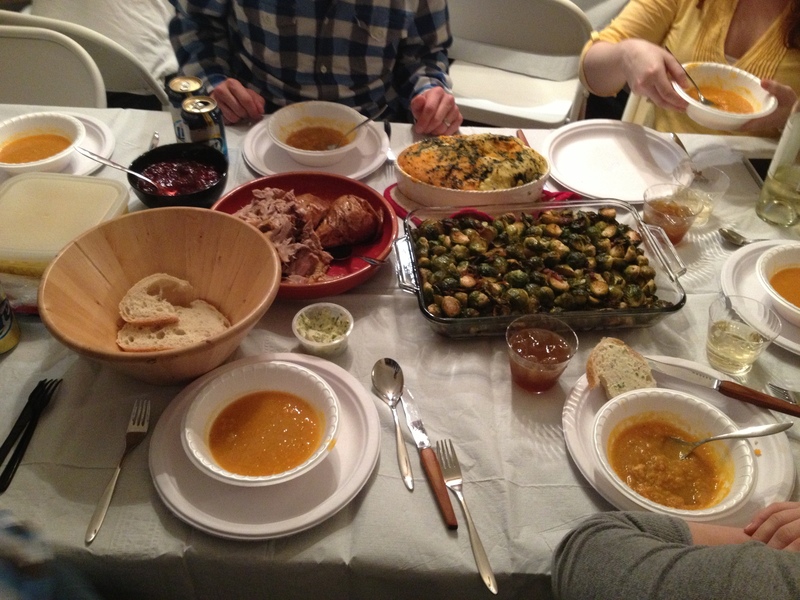 Friendsgiving is a potluck dinner where everyone signed up to bring a different Thanksgiving themed dish or dessert. 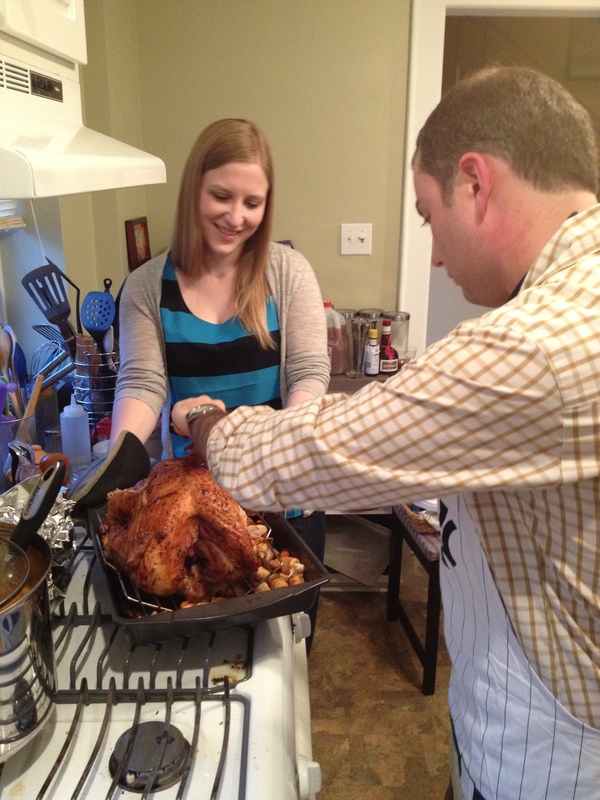 All the perks of a Thanksgiving dinner without all the family drama… what a great idea, right? 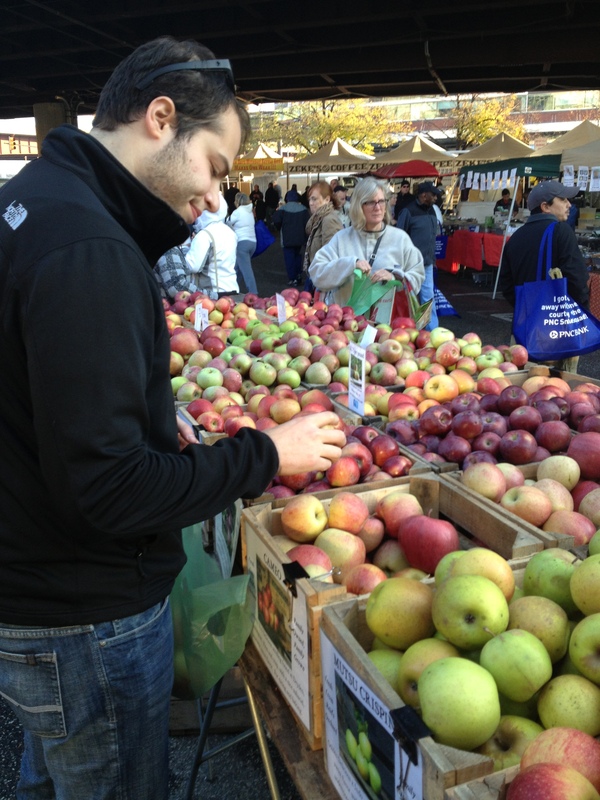 Donny had Dave and I over all weekend and we got to help him prepare his dishes, have his help with the mashed potatoes I signed up to bring, and the best part of course was our trip to the Farmers Market in Baltimore and our 4-mile walk around the Harbor. Donny is amaaaaaaaaaazing at cooking, and I had the best time ever learning from him and getting to use all of his fancy kitchen tools- including an infrared thermometer which is just about the most fun thing ever. 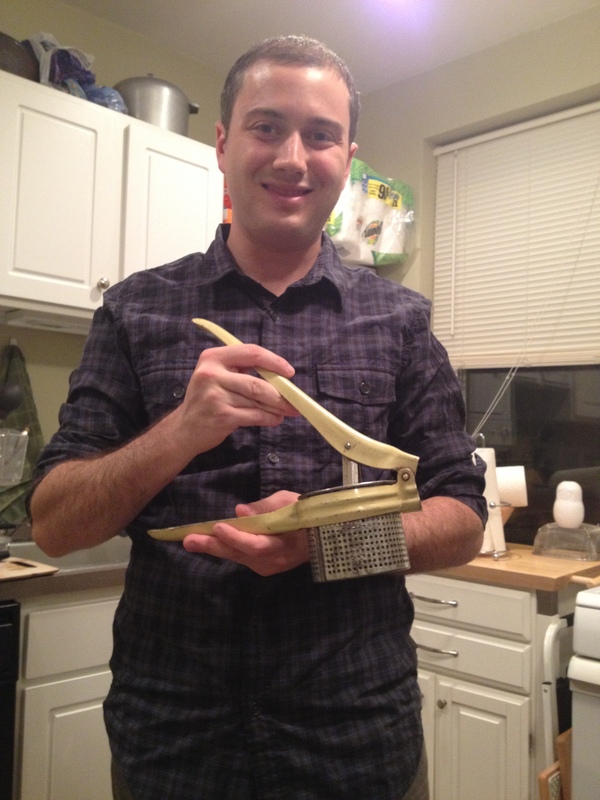 Retro Potato Ricer… so much fun… sooo messy! 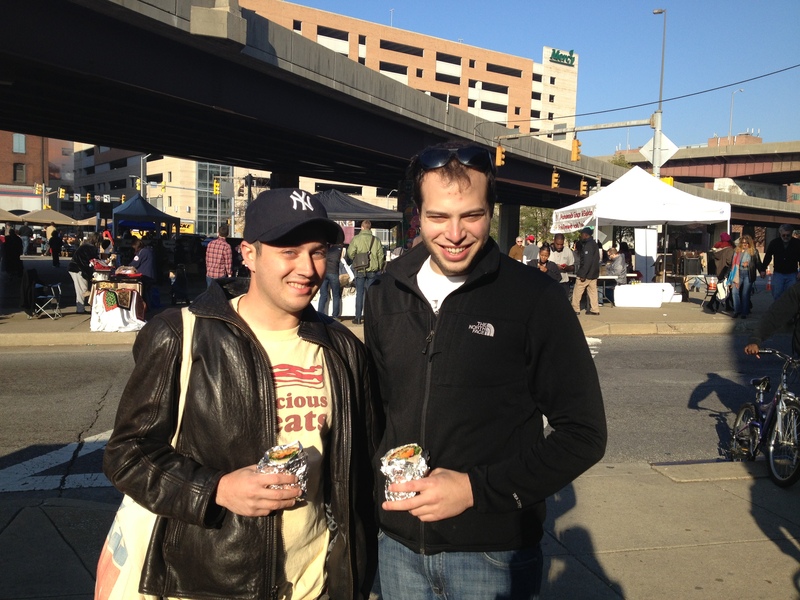 Where else would you split a Falafel at 8:30am?! 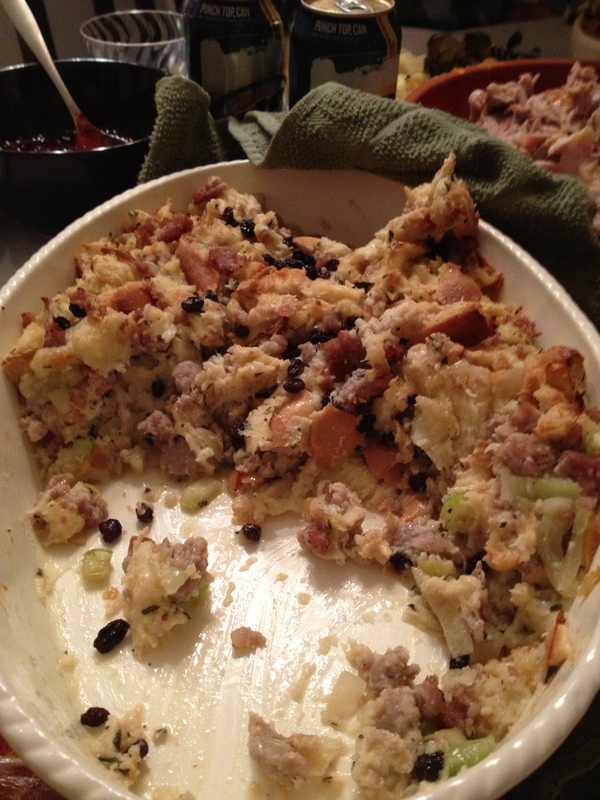 The stuffing went so fast! 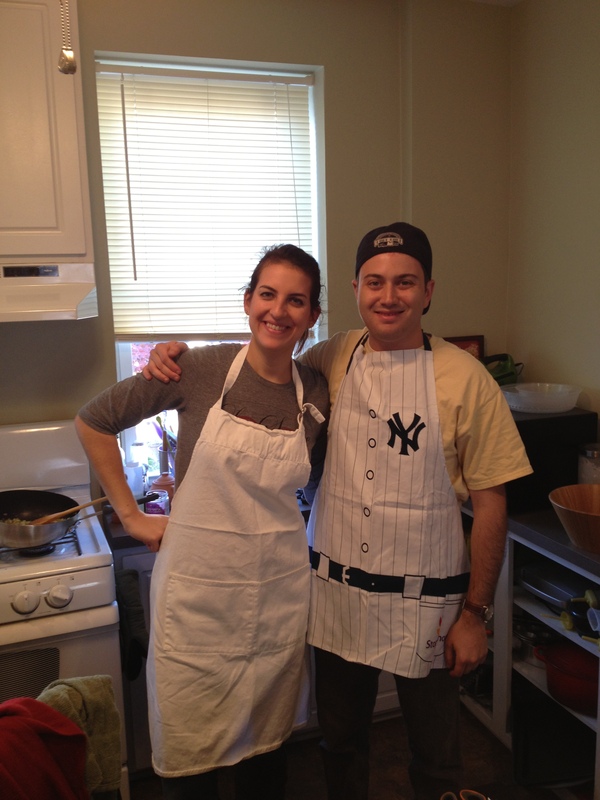 What are you making for your family’s Thanksgiving this year?